When presented with the opportunity of a lifetime there tends to be one major factor that holds people back… expense! Fundraising is an integral part of any expedition and, in many ways, it may appear to be the most difficult challenge you will face. Remember though, this has been achieved by countless other volunteers and with little bit of hard work, determination and a helping hand from us, you can do it too! Whenever we visit a University, we aim to set-up an effective fundraising group so students can maximise their fundraising potential with both individual and group efforts. Group fundraising might involve holding events on (with permission) and off campus, while your individual efforts can incorporate applying for grant funding as well as planning activities and events within your own community. After you have secured a place on an expedition, you will have access to all of the fundraising information that we have gathered over the years, and continue to build as more and more students share their success with us. This will be provided for you in an electronic fundraising pack containing multiple useful documents, equipment discounts, volunteer case studies, lists of potential grants and a recording of the Opwall fundraising presentation – just in case you missed us at your Uni. We cover everything from setting a realistic target and creating a fundraising plan, to how you can write a grant application letter and successfully organise events for maximum profit. Probably the most lucrative area for individuals. Charitable trusts, universities, councils, local companies and organisations all have funding opportunities for Opwall volunteers. The nature of our expeditions means that we fulfil a lot of different funding criteria; you can fit your expedition in to applications for travel, education and career development grants to name just a few. We are always happy to offer advice on your applications, so run them past your local Opwall fundraising team before sending them off! Raffles are massively lucrative as they have a great return and people love the chance to be a winner! Approach local companies for raffle prizes and hold your raffle alongside a big event for your friends and family to attend. UK students also have the opportunity to sell tickets for the Wallacea Trust Grand Prize Draw – we have sourced the prizes and printed the tickets for you, so all you have to do is sell! These are an easy and effective way to raise money over the course of the year – one of our 2017 students sold 800 tickets! Please see below for more info. The most obvious way to raise money for your trip as you are guaranteed funds for the hours that you put in. We understand it can be difficult to balance a job alongside your studies, but if you do have some extra time on your hands this is a productive way to use it! Think about picking up a weekend job during term time, or a temporary position over the holidays. As well as actively earning money, you may also be able to utilise your work-place and colleagues to help you fundraise! If nothing else, this will definitely take the pressure off looming payments. Matthew Clark from the University of Edinburgh held multiple events while fundraising for his expedition to Indonesia including a group bake sale, a quiz and buffet night and a ladies Mamma Mia Sing-a-Long evening. His family pitched in to help organise the larger events and he was able to source some fantastic raffle prizes, including a speed boat trip around Loch Lomond. 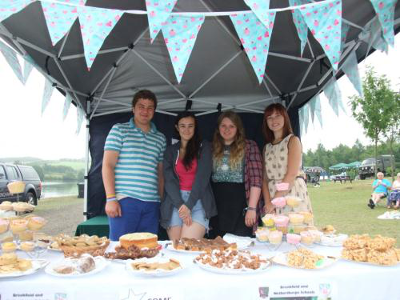 Their efforts paid off and overall, he was able to raise £2328.95! Aaron de Veres, from the University of Edinburgh, joined us on an expedition to Mexico in 2017. To help fund his trip, he completed a 75 mile, two day coastal walk from Edinburgh to Dunbar raising £604 in sponsorship money. He also received £1750 in grants and held an open mic night, a quiz night and multiple bake sales. His final fundraising figure was £2681! Molly Crookshank from Edinburgh Napier University received a whopping £1793 in grants as well as holding multiple successful events. Her most impressive was a sponsored ‘Advent Run’, which entailed running 1km on December 1st then adding another kilometre for each day of December up until Christmas Day when she ran 25km! This event alone raised another £1000 in sponsorship and helped her reach her enormous total of £4593! Kerry Hull from the University of Bristol held a fashion show event with help from organisation Shop2Drop, who provided both the clothes and the models. She roped in her Aunt to help plan the event, selling tickets to the clients from her Slimming World groups with the promise of serving ‘sin free’ food. 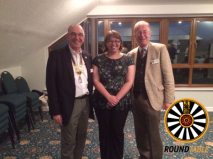 She sold over 100 tickets and boosted profits by holding a raffle on the evening, raising an enormous £876. 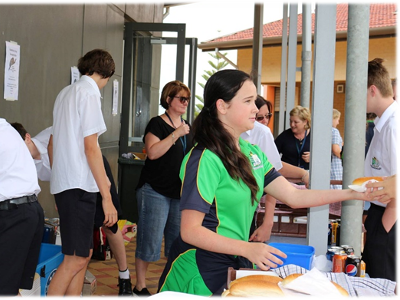 She also held a very successful coffee morning and bake sale, completed a sponsored climb up Mt. Snowden and ran a pub quiz at her student union. Finally, she held a day of fundraising at her former primary school; the children dressed up as rainforest animals and joined Kerry in a lunchtime exercise class. 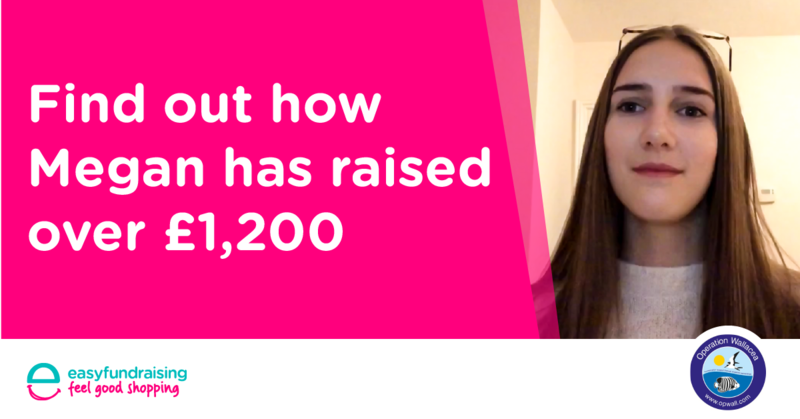 Overall, she raised £2419! Megan Warren and Chase Butler from Gloucestershire University formed a two-woman fundraising team to raise cash for their expeditions to Mexico. Their biggest and best fundraising event was a Valentines party held at their local university bar, which they were able to source for free AND secure complementary shots for the first 25 guests! The main event on the night was a Date Auction, which involved sourcing date packages of candle-lit dinners, cinema tickets and mini golf, and of course persuading young bachelors and bachelorettes to put themselves up for auction! The evening was a roaring success and, together with a few bake sales and grant applications, Chase and Megan were able to raise £1129! To encourage students to follow in the footsteps of this great explorer and naturalist, Operation Wallacea offers the Alfred Russel Wallace Grant. There are two forms of this grant, both aimed at students looking to join our biodiversity teams working around the world in the Summer of 2019. The first is for UK university students. We have ten grants of £1000 each, sponsored by Premier Oil and available to students studying at a UK university and taking part in a 2019 expedition to Indonesia. Research Assistants and Dissertation Students may apply. The second is for US university students. We have one grant of $1500, one grant of $1000 and three grants of $500 available to students enrolled at a US academic institution and taking part in a 2019 expedition to any country. Again, both Research Assistants and Dissertation Students may apply. Martin Suthers was a good friend to Operation Wallacea, and acted as Trustee and then Chairman for the Opwall Trust for 16 years. When Martin sadly passed away in 2016, he left a legacy to help students get out in to the real world and gain the hands-on field experience required for a career in conservation. The Martin Suthers’ grant is available to UK and Ireland University students who are embarking on any expedition in 2019. There are two grants of £250 available and, as with most grants, there are specific criteria that volunteers must meet to be eligible to apply; they must demonstrate that they have fundraised a significant proportion of their expedition already. After raising a minimum of £500, students may apply by telling us exactly how they did it. Make sure you take lots of photos and keep copies of any posters or flyers you create – these will really make your application stand out! There are over 3,300 retailers giving donations on everything from groceries and DIY, to takeaways and fashion, to holidays and insurance. Hundreds of our volunteers have used easyfundraising to date and raised a MASSIVE £55,000, to help them fund their expeditions! It has inspired me to look for a career in the conservation sector, and gave me knowledge to put into use for my dissertation and work placements; for this I will be eternally grateful. I look forward to pursuing bird ecology in the future, and plan on taking every opportunity to dive again! I did not think that my trip to Indonesia this summer would have as much of an impact on my life as it did. I understood that I would be collecting data for my dissertation research project, but this was only the tip of the iceberg of what I was to gain from Opwall. I feel so lucky to have had the chance to go on this expedition, something that will shape my future career. Before going away, I was apprehensive about if I would actually enjoy diving this intensively as I had never been in the field before. I was please to find that the mystery of the ocean didn’t elude me at any point. I was always captured, watching something different and new that I hadn’t seen before. I would definitely recommend this experience as it was a great way to gain practical experience and knowledge that I didn’t have before going and also a great way to meet a diverse range of people with different backgrounds and cultures. This trip, although at some points largely proving more a test of resilience, was undoubtedly the best and even arguably the most important time of my life to date. It has provided me with friends and experiences I will keep for the rest of my life and I am extremely grateful that the opportunity was given to me, as well as the fact that I was in the right place to seize and make the most of it.